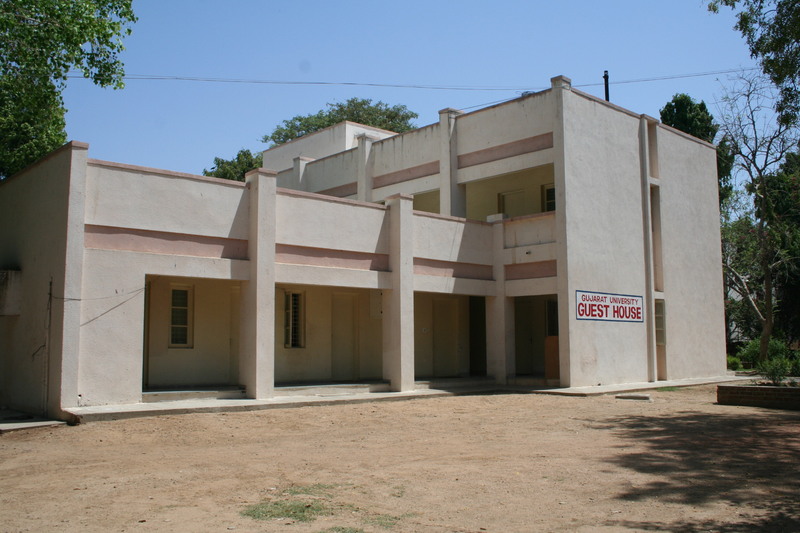 Gujarat University Guest House was established in 1967, to provide the accommodation, for teaching and administrative fraternity, who are visiting the university on officially or on personal bases. The rates for accommodation are fixed according to the purpose of the visit. Fourteen rooms are available at University Guest House, out of those, atleast 4 rooms are facilitate with Air Condition and Geyser and are reserve for special guest. 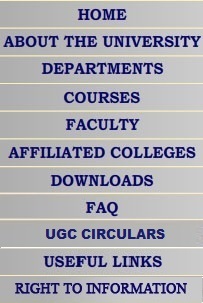 University has decided to provide accommodation facility at cheaper rate to the academicians, teachers and administrative staff who are coming for university�s examination purpose. The Guest House is surrounded with green and well developed garden. A special space is provided for the parking. Twenty four hours security facility is available to care the entire guest house campus. The University Engineer and the estate department is looking after the entire premises along with registration, cleanliness and overall routine administration of guest house. Twenty four hour guest house care taker is available and is serving light break fast and tea-coffee etc.